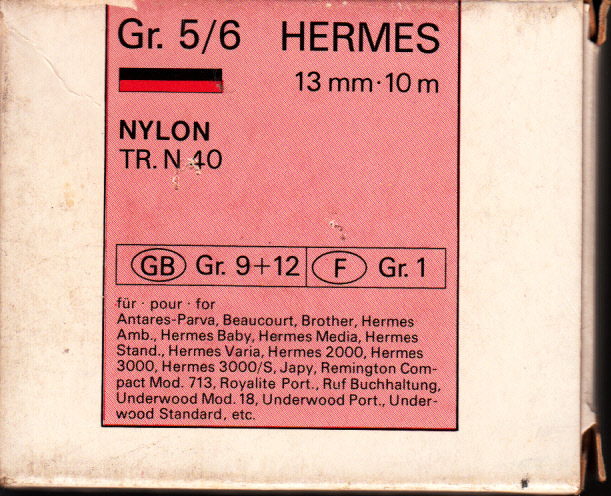 Keep your eyes open for a Hermes Varia, that is a proportional-spacing machine. Well, that sounds interesting. Thanks, Richard! Je pense que c'est plutôt ce ruban.